This course dives deep into the licensing requirements for contractors and allied professionals. AEC license specialist Christian Haring will lead us through a discussion about required licenses and common pitfalls, and will also provide strategies and best practices so your firm can be as successful as possible when it comes to licensing. Learn about the licenses required when forming and growing in your home state and what is required to expand into new states. Identify the regulatory issues that arise when forming an entity. Identify the most common pitfalls that firms encounter and provide strategies for your firm to avoid them. 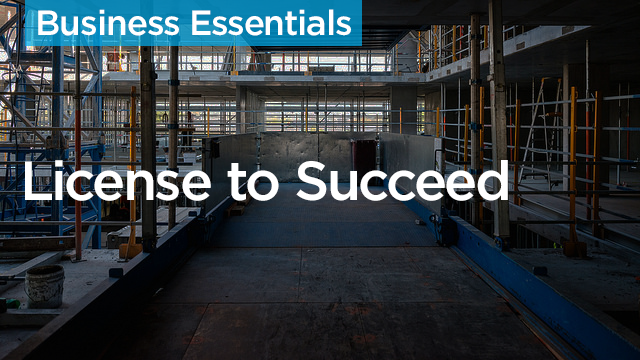 Licensing requirements for allied services like architecture, engineering, and land survey. Congratulations! You've completed a Procore Continuing Education course!